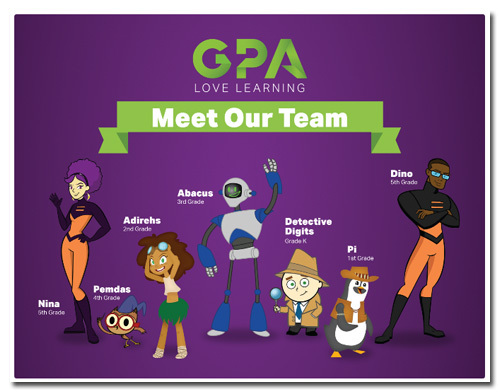 GPALOVEMATH (GPA) is a web-based math program geared towards children in kindergarten through the fifth grade. Many of the people behind GPA are parents and are experienced in math and education, as well as technology. I think through this collaborative effort, they have managed to address the learning needs in math of children and have presented it in a manner that is appealing and educational. Students are guided through the lessons with the assistance of seven characters, learning coaches, that are part of the team of student companions who work as tutors. Each character is a specialist in a grade level from kindergarten through fifth grade. There is some prelimimary work for the teacher/parent before the student begins the lessons. You create the student accounts and create a reward schedule of prizes to be issued to the student after completing a certain amount of work. 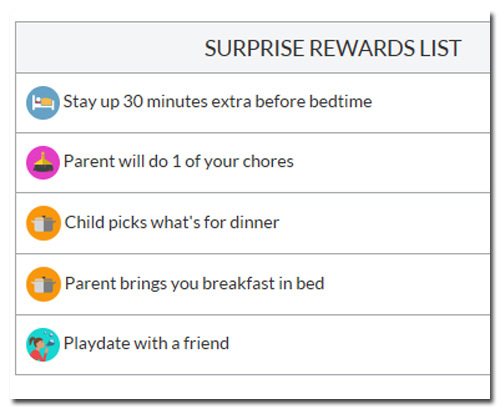 You are able to choose from a list of pre-set rewards determined by the age of the child, or create your own, for your child to receive after he reaches a certain point in the work. You are also able to establish how many lessons your child must complete before he is rewarded. These are some of the rewards I chose for Canyon to receive after completing 19 lessons. 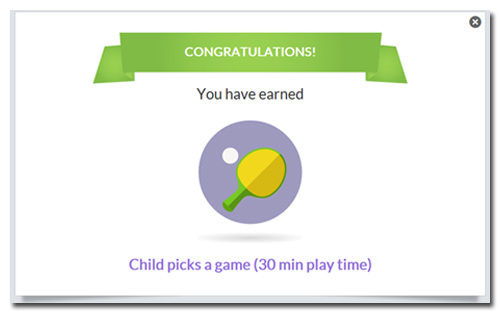 This is the type of message he received after completing the required number of lessons. Canyon worked through grade one level work and was assisted by Pi the penguin. I like the idea of a companion for the student, but, at times, Pi was difficult to understand. His speech was very robotic, which is surprising, because of how advanced the technology seems to be behind the program. Despite that, Canyon was still able to work through the lessons. You may see a video of Canyon’s learning coach Pi. The students work through the lessons starting with the instruction by their learning coach. Next, they practice what they were taught and a quiz follows afterwards. As they complete the sections, the next section is unlocked for them to proceed.They are only able to unlock lessons by completing the work, so you may have your student work independently and not worry about him jumping ahead without learning the material. In the teacher/parent dashboard, you are able to set up a lesson plan that has the student completing the lesson in the suggested order by GPA or they can concentrate or specific topics of need. Engage is where the teacher is able to communicate with the student, but since I usually sat with Canyon while he was doing the lessons, we didn’t use this feature. Students are also able to interact with other students, which I can see may be better use in a larger classroom setting. 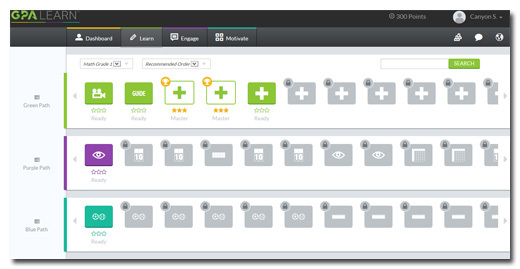 The teacher is also able to follow the progress of the student through the teacher dashboard. The e-mailed progress reports are extremely helpful. Overall, I think GPA is a fun and well designed program for math instruction and has all of the elements that children desire when using online learning programs. The curriculum has detailed graphics and the presentation is fun and engaging, especially because of the varied learning coaches. If the child uses the curriculum for more than one grade level, he gets to learn the same material, math, but it is presented in a different and style of the learning coach. That keeps it interesting. Canyon will continue working through the lessons, because he has actually been learning more math. You may see how it compares to other online math programs. You may also try GPA for free for 30 days. GPALOVEMATH is available for $149 per year or $12.99 per month per student and you have access to all of the grade levels. GPALEARNMATH on: Facebook, Twitter and Pinterest.